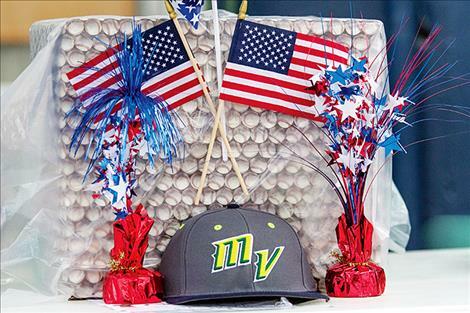 Mariner Xavier Fisher delivers a pitch during the Firecracker Tournament. 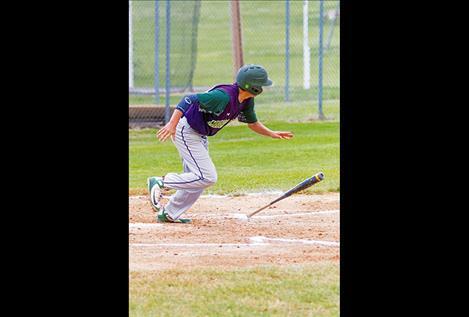 Mariner James Bennett lays down a bunt. Mariner Tyson Petticrew makes contact for a base hit. The Mariners celebrate the holidays during their game. 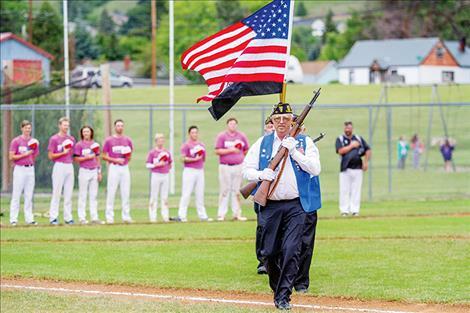 POLSON – The American Legion Mission Valley Mariners baseball team hosted its annual Fourth of July Firecracker Tournament this past weekend at O’Malley Park. 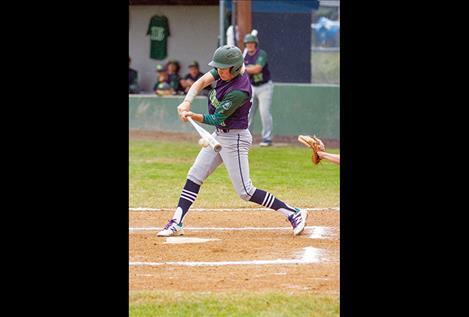 The Mariners squared off in a four-team round-robin tournament featuring squads from Dillion, Missoula and Whitefish. Rain cancelled the Mariners’ opening game on Friday evening against the Glacier Twins, and showers fell on the players and fans on-and-off most of the day on Saturday. “Mother nature wasn’t great for us,” Mariners’ skipper Tim Rausch said. On Saturday morning, the Mariners started the day with an offensive show in an 8-0 shutout win over the Dillion Cubs. However, the Mariners dropped their night cap to the Missoula Pioneers 5-3. 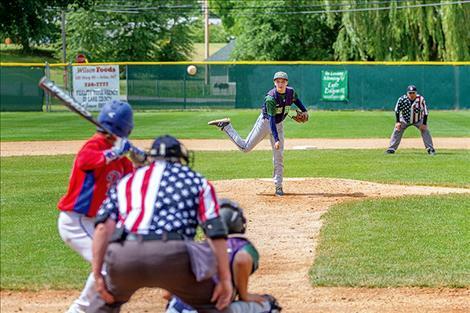 The Mariners will make a trip northward to Kalispell July 6-8 for the John Harp Memorial Tournament before moving into their final week of conference action.